Under Regulation S of the Securities Act 1933, the SEC prohibits – among other things – foreign financial institutions that are not registered and regulated in the US abroad from soliciting US residents as clients. This does not mean they cannot accept US residents. It means that they cannot market their services to US clients. In other words, they can’t advertise in the US or cold-call US residents to try to persuade them to open an account. But if a US resident approaches them, that’s not a problem. However, many foreign financial firms don’t want to risk falling foul of the SEC, fearing that it could cause them quite a lot of trouble if it wanted to do so. Consequently, as a way of avoiding any issues over whether a client is solicited or not, many simply say “no US residents”. There is an additional complication in that having a website advertising your services is viewed by some as equivalent to actively soliciting clients, just as a phone call or letter would be. So I have been told that some banks and brokerages that will not accept US residents that have clearly accessed their websites. However, reportedly some of the same firms will accept US residents who are prepared to state that they have never accessed the website. Hence a US resident approaching a foreign firm to discover whether they would be eligible as a client would probably be best advised to do so by phone or post in the first instance and at no point mention the existence of the company’s website. Yes, this sounds completely ludicrous. And the willingness to work around the rules like this only seems to be only true of a fairly small number of firms – most will simply say “no thanks” anyway. But if you want to maximise your chance of being acceptable to a non-US firm, this is a ridiculous hoop that it may be worth jumping through. When it comes to which firms will accept US residents, many Singaporean firms still seem to be fairly welcoming. See my articles on opening a Singapore bank account and opening a Singapore brokerage account for more details. You may also find that some of the Hong Kong stock brokers are willing to accept you. Specific brokers that apparently still accept US persons are Singapore’s OCBC Securities, Hong Kong’s Boom Securities and Switzerland’s Swissquote. There are also firms in offshore jurisdictions that provide white label versions of trading services from firms such as Saxo Bank. While Saxo seemingly won’t accept US clients directly – although I have had contradictory information on this – some of these introducing firms reportedly will, at least if you go along with the fiction of never having accessed their website before. Investors Europe in Gibraltar and Panama Wall Street (previously called Thales Securities) in Panama seem to fall into this category and may be worth investigating. If a foreign brokerage allows US residents to open an account, they will typically not allow them to purchase US shares through that account. However, there will usually be no special restrictions on other markets. Where US residents are not allowed to open personal bank or brokerage accounts directly, they may still be able to get around restrictions in some jurisdictions by controlling an account through an offshore shell corporation. That’s beyond the scope of this guide and requires expert advice. There is an additional complication that may make the situation worse for US citizens and residents in the near future. The Foreign Account Tax Compliance Act (FATCA), signed into law in July 2011 aims to compel foreign firms to identify their US clients and report their holdings to the IRS. This would be a substantial administrative hassle and for many foreign firms it may not be worthwhile. 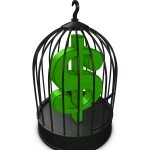 The provisions don’t come into effect until 2013, but many firms have begun rejecting US clients ahead of the change. International banks are not happy about these measures and are lobbying to have them changed or loosened, so the rules may never come into full effect. But if they do, US clients are likely to see their options narrowed still further. The information in this article is intended for those looking to open a foreign bank or brokerage account for greater convenience doing business or investing offshore. Using foreign accounts to evade US tax is illegal and an extremely bad idea. The IRS is getting increasingly aggressive about pursuing Americans who try to avoid tax through overseas accounts and it is not a good idea to tangle with them. Make sure you declare all foreign accounts and income when required. As well as declaring foreign income on your tax return, this may include a special declaration of the existence and balance of your overseas accounts. In particular, if the combined balance of your foreign accounts from banks, brokerages and other institutions totals more than US$10,000 at any point during the year, you must file form TDF-90-22.1 with the Department of the Treasury by June 30th each year. Failure to do so exposes you to possible severe penalties, including forfeiture of up to half the account balance. In addition, a provision from FATCA (IRC § 6038D) now obliges taxpayers to report foreign financial accounts and assets with an aggregate value of over US$50,000. This rule covers a much broader range of assets and takes effect in all tax years after March 2010. Please note: I am not a US citizen or US resident, nor have I ever been. This article is provided for background information only in response to a common question about international investing. Where necessary, you should consult an qualified financial adviser who can provide expert advice tailored to your personal circumstances and your tax liabilities.